My five year old’s latest obsession on Disney Junior is the new Mickey and the Roadster Racers! So when I had the chance to review the newest DVD that was released on March 7, I jumped at the opportunity to get my hands on a copy of this DVD! When it arrived I was pleasantly surprised to see it came with a free create-your-own personalized metal license plate. 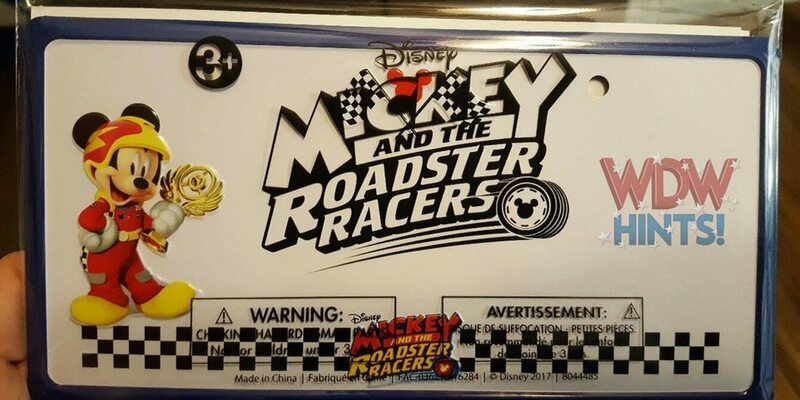 The metal license plate, complete with two holes that would be able to be secured to a bike, had the show’s title and our favorite mouse in his racing gear on it. It also came with four sheets of letter stickers and two Minnie Mouse stickers. My daughter immediately started making her own license plate while we enjoyed watching the DVD. The DVD features three episodes, plus a bonus episode and two music videos, all featuring Mickey Mouse and gang. The cartoons are in the same style as Mickey Mouse Clubhouse and other Disney Junior shows geared towards toddlers and preschoolers. Cute, colorful and full of your little one’s favorite Disney characters – Mickey, Minnie, Donald, Daisy, Goofy, Pluto, Pete and more. The bonus episode featured the Three Caballeros, which made both of us happy! While my little one enjoyed it, it’s not something I would watch on my own, but is something I would enjoy watching with her! She loved all of the episodes, even though she had seen some of them previously on Disney Junior. I also liked that some of the episodes take the gang to different locations like Italy and Spain! The two music videos – Mickey and the Roadster Racers theme song/commercial and the Happy Helpers them song (that’s Minnie’s and Daisy’s song) were cute additions and had my daughter singing and dancing along. 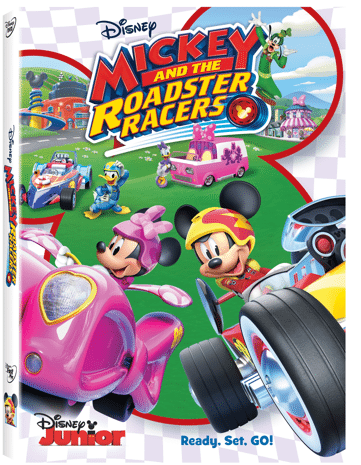 Disclaimer: We received a complimentary DVD copy of Disney’s Mickey and the Roadster Racers in exchange for an honest review. All opinions expressed are our own. This post may contain affiliate links, which is of our own volition. Affiliate links do not raise the price of the products for the consumer, but do allow us to receive a small commission in order to keep this site running!